Get out and explore! 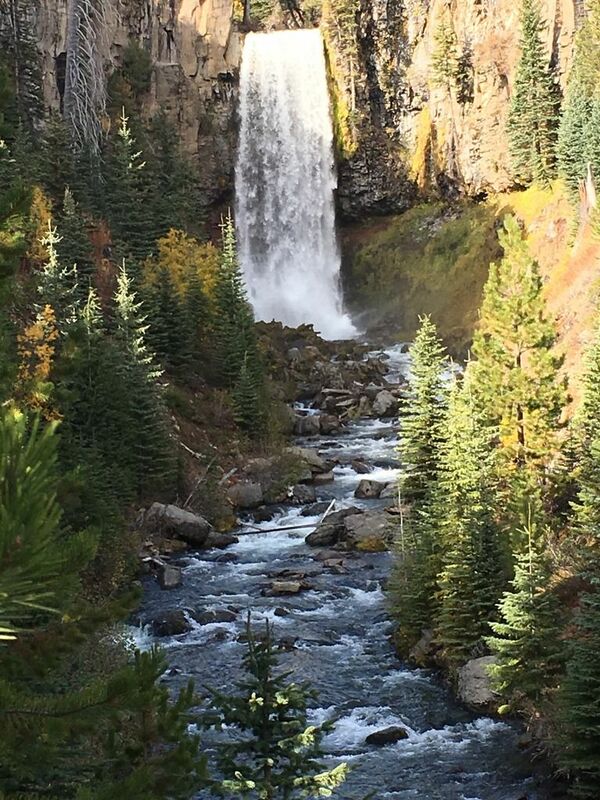 When in Central Oregon, check out Tumalo Falls in the Cascade Range west of Bend. At this time of year, the aspen trees are turning golden, and the falls are filled with water from springs and glacial melting. There is about a 3 mile, unpaved (read: gravel and lots of potholes!) road that leads to a very small parking lot at the falls. A short hike up the hill from the parking lot yields observation decks close to the 97-foot falls with beautiful views of the surrounding Deschutes National Forest and Tumalo Creek. Spend some time hiking the trails to the base of the falls or around the forest to Happy Valley and more waterfalls. This is a peaceful, easy/moderate hike with spectacular scenery that is especially beautiful in the autumn!